Hosted by Jon Kulp on 2015-12-24 is flagged as Clean and is released under a CC-BY-SA license. A couple of weeks ago on the way to work I found a flashlight (or a "torch," for those folks across the pond). It was rolling around on the street getting run over by cars and seemingly not suffering any damage as result. As soon as it was safe, I walked out into the street and grabbed it and took it with me. 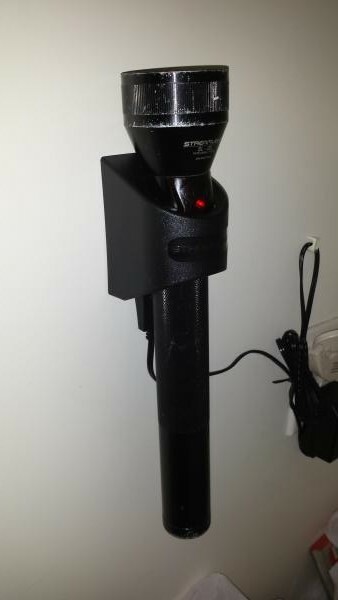 A little poking around online showed me that this was no ordinary device, but a police-grade flashlight. I contacted the Lafayette Police Department to find out what kind of flashlights they used and whether anyone had reported one missing. Ordinarily when I find something I don't worry about this, but I discovered that this thing cost quite a lot of money—around $125 on Amazon with a retail price of $225—and if a police officer had lost it I certainly didn't want him going into his own pocket to replace it if I could just give it back to him. 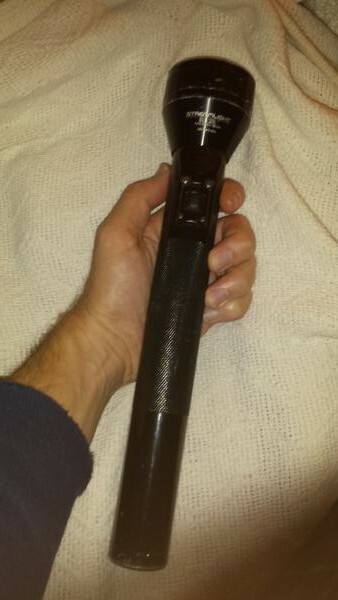 The police department wrote back to me saying, yes, this was the kind of flashlight that they issued to their officers but no one was missing one. I also asked the University Police and they said they don't normally issue flashlights but that sometimes officers bought their own and no one had reported missing one. After seeing the amazing build quality and absolutely unbelievable light quality this thing produced, I decided to keep it and so I had to buy a charger to recharge the battery. This cost about $28 and now I'm the proud owner of a Streamlight SL-20L flashlight. This is truly one of the greatest tools I've ever had. Listen to the show to hear me sing its praises! I just wanted to take a minute out to say, These are the sort of episodes I "tune" in for. For one, there informative. And secondly, their entertaining. But as for the Flashlight, Would you take a chainsaw resistant desk for it?